If your bathroom design scheme calls for some fine pottery pieces, Gedy's squared pottery soap dispenser is a must have for your guest or master bath. 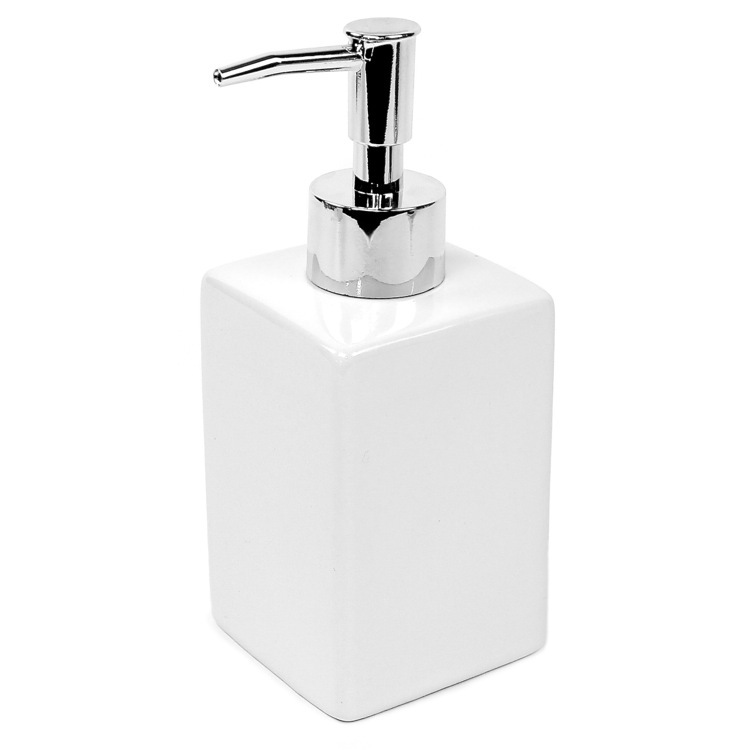 Boasting a sleek ivory finish accentuated by chromed plastic, this soap dispenser is truly a work of art disguised as a handy bathroom accessory. The ceramic container (HxWxD) 4"x2.5"x2.5"
The height of the pump 2.5"